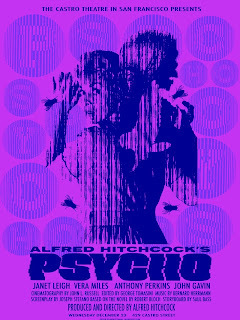 3 shades of Purple for Hitchcocks Psycho. 20 x 26 inches. Edition of 75. SOLD OUT!